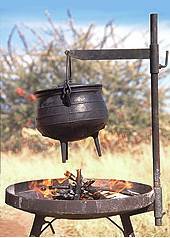 Zum Potjie Restcamp lies 380km from Windhoek on the B1 between Otavi and Tsumeb on a 50 hectares small-holding. 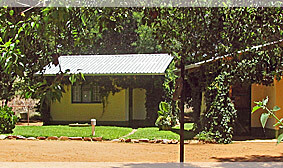 The guest farm offers spacious bungalows and a cosy farm atmosphere. Spend a quiet day or two with us. Whether your are looking for a Bed & Breakfast, full board or even camping, all options are available. 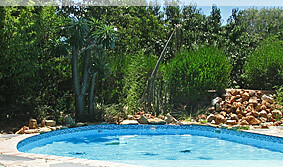 Walking trails, bird watching, a small farm museum and a swimming pool provide relaxation and entertainment. And well-known is our cuisine: delicious traditional-style Potjiekos is cooked in a cast-iron pot with three legs on the open fire.